The Mila series by Pulpo is characterised by clean lines and a timeless eye-catching design. Each piece can easily be introduced into public or private spaces and are particularly well-suited for entrance halls, hotels and bars. 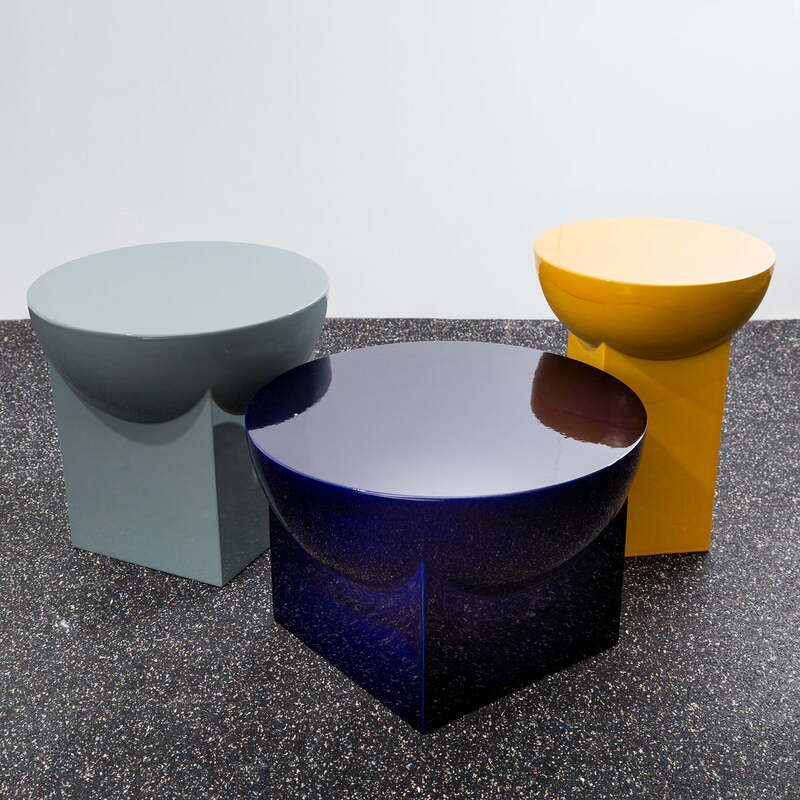 Two geometric shapes meet to create the table by Sebastian Herkner: While the base consists of a rectangular cuboid, the table top is made up of a solid, filled hemisphere. 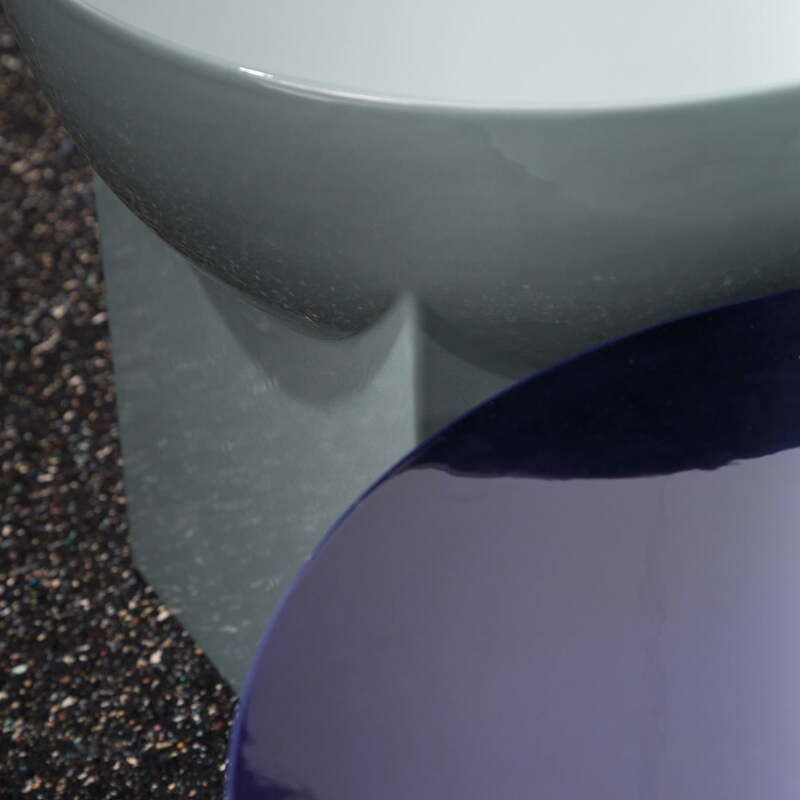 The Mila table is elaborately made by hand from glass ceramic. Small bubbles and streaks, as well as minor variations in colour and size, are characteristic of handmade glass and are not flaws of design or manufacture. Mila is available in various sizes and colour combinations that make it possible to personalise the table according to taste and surroundings. Whether alone or in a group, Mila is a guaranteed eye-catcher. Details Please note: Each glass is unique. Small air pockets and streaks, as well as slight variations in colour and size are characteristic of handmade glass and are not due to defects in design or manufacturing. Small bubbles and streaks, as well as minor variations in colour and size, are characteristic of handmade glass and are not flaws of design or manufacture. Group product image: Mila is available in various sizes and colour combinations, making it possible to adapt the table to personal taste and surroundings. 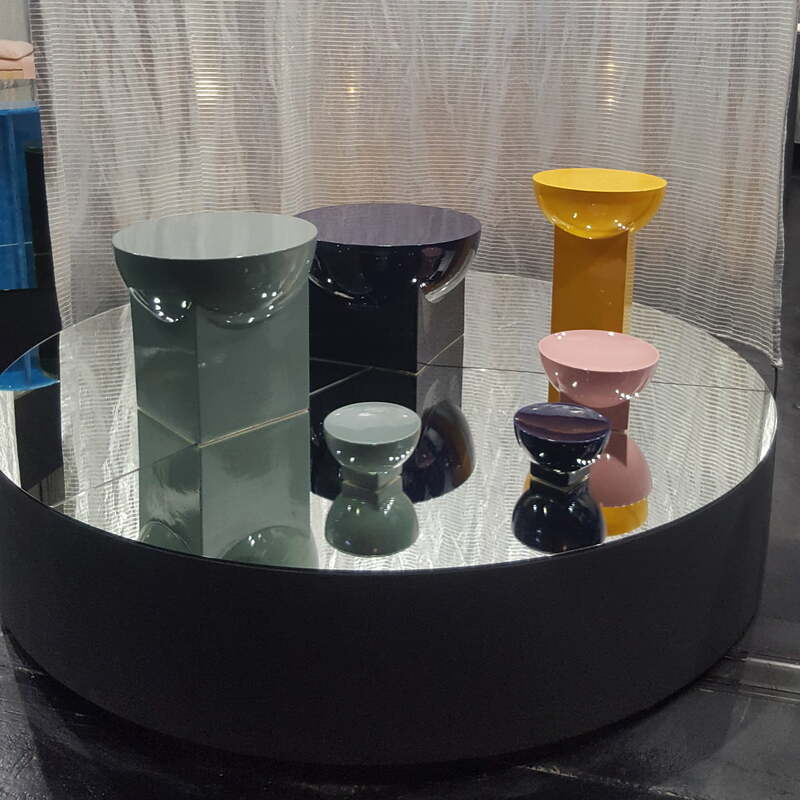 Lifestyle product image of the Mila table and Mila bowl by Pulpo. 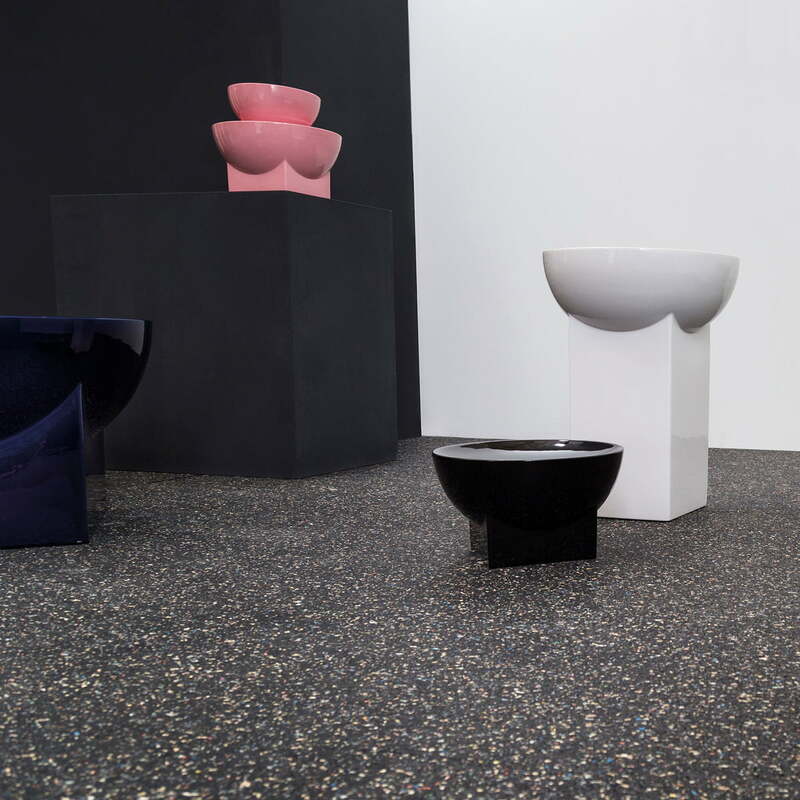 Two geometric shapes meet to create the Mila objects, designed by Sebastian Herkner. 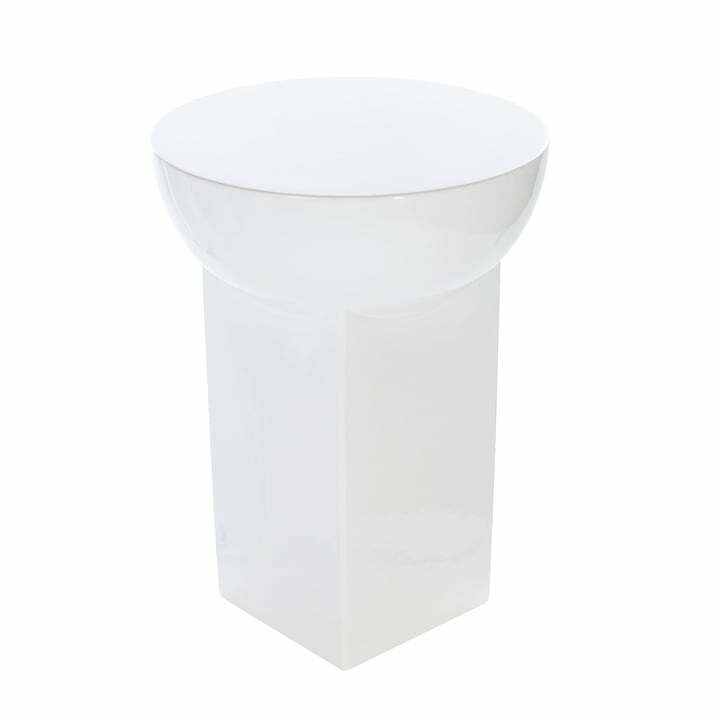 The Mila series is made up of tables and bowls by Pulpo, characterised by clean lines and timeless eye-catching designs. Each piece can easily be introduced into public or private spaces and are particularly well-suited for entrance halls, hotels and bars. 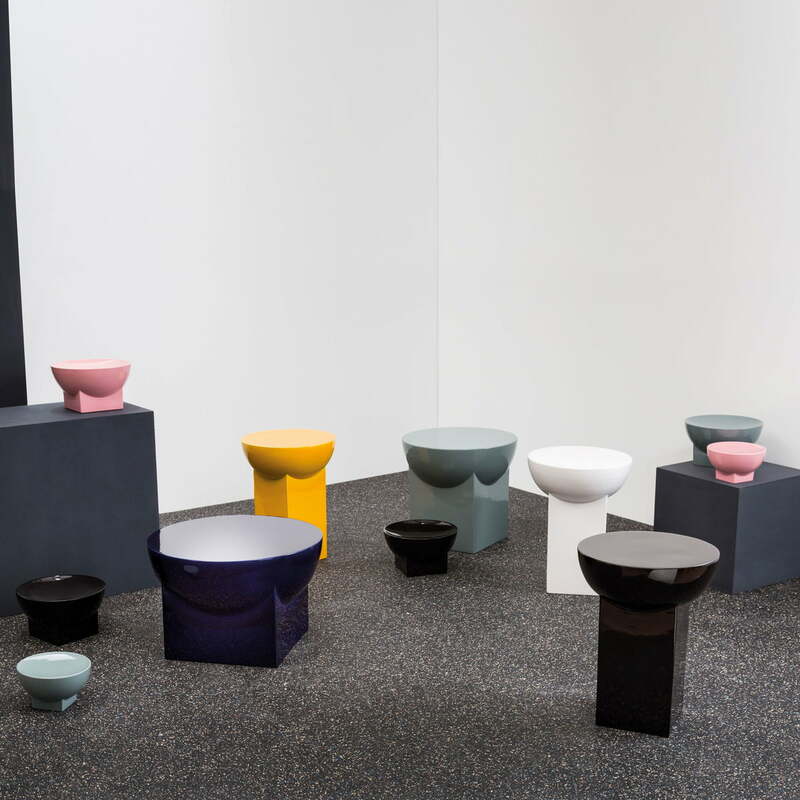 Isolated product image of the Mila Table by Sebastian Herkner for Pulpo: The base consists of a rectangular cuboid on top of which a solid, filled hemisphere with a slightly concave surface sits. 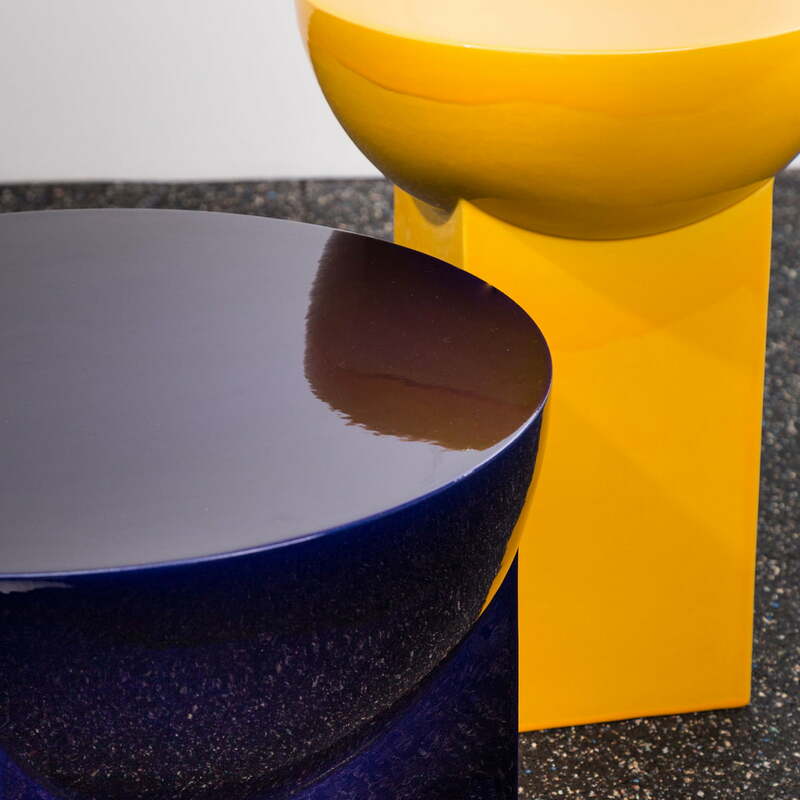 Detailed product image of the Mila table by Sebastian Herkner for Pulpo in the Connox shop. The Mila table is elaborately made by hand and is available in various colours. 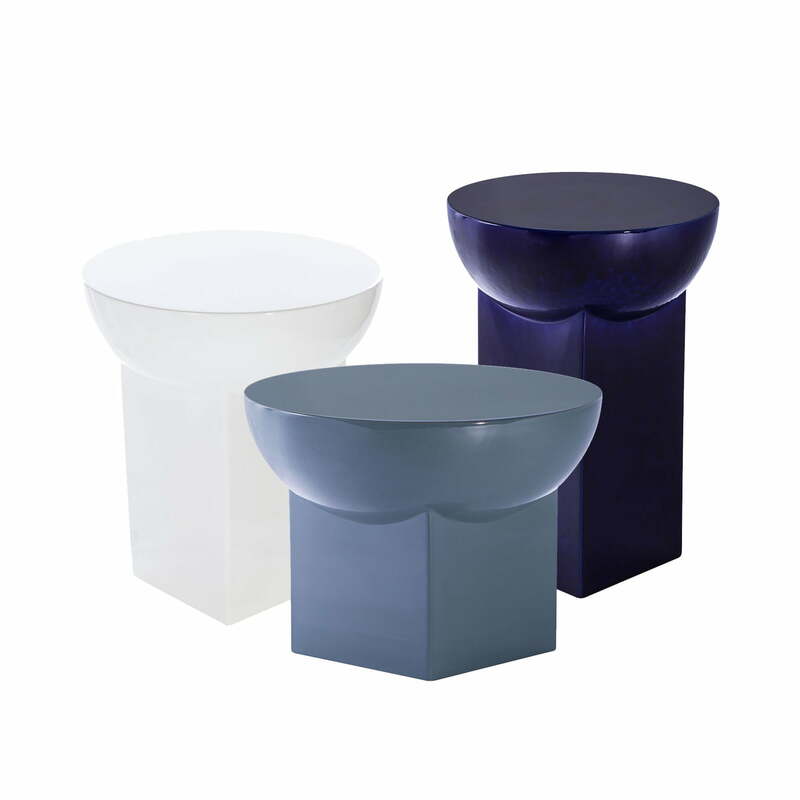 Group product image of the Mila tables by Sebastian Herkner for Pulpo. Whether alone or in a group, the Mila table is a guaranteed eye-catcher in any environment.